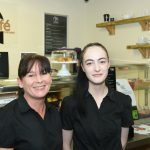 Visitors to Acklam Green Centre’s WIFI Café, Café Connect can enjoy some mouthwatering offers in the run up to Easter. Café Connect is offering a hot cross bun and a cup of tea for £1.40 and Easter themed cupcakes for 60p on 8th to 12th and 15th to 18th April. All items are available to eat in or take away. In addition to the Easter specials, Café Connect offers the public a range of breakfast items and lunch options including sandwiches, jacket potatoes, salad boxes, toasties and paninis. Café Connect is open to members of the public and those using the centre’s facilities Monday to Friday with breakfast available 9am to 11.30am and lunch available 11.30am until 2.30pm. With free WIFI available throughout, Café Connect is ideal for informal meetings or to enjoy a coffee stop while out and about meeting clients. A number of new fitness classes are now up and running at the Acklam Green Centre. 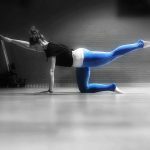 A new mixed ability Pilates class now runs each Wednesday evening 6.30pm to 7.30pm at the Acklam Green Centre ran by Rachel Chapman Sports Therapy and Pilates. The class is aimed at people of all abilities and costs £5 per week to attend on a pay as you go basis. Pilates is known to have many benefits for participants including improved flexibility, increased strength, improved posture and reduced stress. In addition, a new Zumba class is due to start at the Acklam Green Centre next Month. Zumba With Rach is due to start in centre on Tuesday 2nd April at 6.30pm to 7.30pm. The first two sessions are priced at £3.50 with the normal sessions price being £4.50 (or £40 for 10 sessions up front). Week two of the class will take place on Thursday 11th April as a one off. The two classes have started up in response to customers from the centre and local residents completing a survey about physical activity and what they would like to see on offer at the centre. Many of the respondents said they would like to see Pilates and Zumba classes on the timetable. New Junior Yoga and Clubbercise classes are set to commence at the Acklam Green Centre in the coming weeks. Keep an eye on the Facebook page for more information. For more information about Rachel Chapman Sports Therapy contact 07946 324 080. 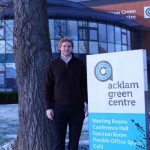 The Acklam Green Centre is proving popular with organisations across Tees Valley and beyond, with many of those hiring its rooms for training, conferences, meetings and events booking up on a regular basis after being impressed by the facilities on offer. Public Health South Tees recently hosted the Dr Janice Kibirige Memorial Tees Contraception and Sexual Health (CASH) Conference for the fourth consecutive year, utilising the centre’s large conference facility, the Roseberry Hall and its two large meeting / training suites, the Taylor Suite and Brownlee Suite, for the day-long event which was attended by over 65 guests. Other organisations that have made the Acklam Green Centre their go-to venue include North Riding County Football Association who regularly hire the centre’s Taylor Suite to run their training courses, including the forthcoming referee course starting in January. Tees, Esk and Wear Valleys NHS Trust and the Tees Local Pharmaceutical Committee (LPC), among others, also regularly hire the facility for annual meetings and away days. 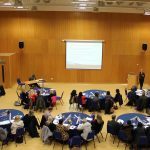 Donna Smith, facilities manager at Acklam Green Centre, said: “We are delighted to continue to attract repeat business from a wide range of businesses and organisations including the NHS, Public Health and the FA for their regular meetings, conferences and training courses. As Christmas approaches Soroptimist International Middlesbrough is highlighting the issue of period poverty, which can make this happy time of year very difficult for those less fortunate. The organisation kindly donated a supply of sanitary products to the Acklam Green Centre in the summer for girls and women who are unable to afford to purchase them themselves, and these are now available from the Resource Centre, Actes’ Trending clothing bank as well as at AGC. 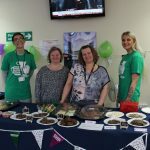 The Middlesbrough branch of SI, a global volunteer movement working together to transform the lives of women and girls, is supporting the #EndPeriodPoverty campaign with the donation of the products which have been made available for those visiting the centres, as well as local-residents and Trending clients, to access discreetly. Pauline Reed membership officer and immediate past president from SI Middlesbrough, said: “Christmas is often a time when people in difficult circumstances can struggle more than usual. Some girls and women are forced to use old clothes, toilet paper and newspapers as alternative solutions to sanitary products, while others have to rely on friends and foodbanks for handouts. Females who require products should visit the reception desk at Acklam Green Centre and the Resource Centre and ask for the ‘toiletries box’ where they will be handed a box to take into a private room and select their required products before handing the box back in. Visitors to Acklam Green Centre’s WIFI Café, Café Connect can enjoy a range of festive treats throughout December. Café Connect is offering a mince pie and a tea or coffee (non-speciality) for £1.25, Christmas themed cupcakes for 60p and festive soups such as curried lentil with parsnip and apple, served with a bun for £1.65 during December. All items are available to eat in or take away. In addition to the December specials, Café Connect also boasts a deli bar offering a range of fresh fillings for sandwiches, jacket potatoes and salad boxes as well as toasties, paninis and breakfast items. 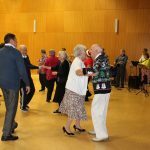 Cleveland Alzheimers Residential Centre Limited (Cleverarc) hosted its Christmas Dementia Friendly afternoon dance at the Acklam Green Centre last week, as part of the Dementia Friendly Middlesbrough initiative. On Wednesday 5th December 68 invited guests comprising of those living with dementia and their carers from the Middlesbrough community enjoyed a traditional afternoon tea courtesy of Café Connect, a Christmas themed quiz and live music from Class Act in the centre’s Roseberry Hall. Brian Rowcroft, Dementia Friendly Middlesbrough Business Engagement Lead for Dementia Friendly Middlesbrough Project, said: “It was an outstanding Christmas event to round off a series of afternoon dances enjoyed by people living with dementia and their carers in Middlesbrough. The benefits of dancing and music are well known for people living with dementia to help them stay active and re-establish memories. Many people danced when they were young, so the music provided by the exceptional Class Act provided an opportunity to relive those past experiences while enjoying themselves and getting in the Christmas spirit. Acklam Green Centre is urging leisure businesses starting new year ventures to consider the venue as a base for their classes and activities. After introducing new reduced rates for those booking the centre’s facilities on evenings from 5pm onwards and at weekends, Acklam Green Centre is hoping that more individuals and groups set up at the centre, adding to the list of community groups which include martial arts classes, meditation and mindfulness sessions and Slimming World classes, which have already made the centre their home. Donna Smith, facilities manager, said: “New year is a time when lots of people look to improve their fitness, so I would expect there to be lots of instructors getting new classes underway to meet the demand. “If anyone is looking for a venue to run classes from, I would encourage them to take a look at Acklam Green Centre. Our two training suites and our large Roseberry Hall are ideal for a range of activities such as yoga, zumba, HIIT classes, bootcamps, dance classes and much more. In addition, we have on-site parking and are easy to get to from the A19, so the centre is ideal for those looking to build up a customer base. The Resource Centre’s Ford Hall is also available to hire for and is suitable for a wide range of leisure activities. Activities that have taken place in the centre include yoga and line dancing classes. For further information about room rates at the Acklam Green Centre or to arrange a no obligation tour of the facilities call 01642 811120 or for the Resource Centre call 01642 255001. North Riding County Football Association is running an FA referee course at Acklam Green Centre starting on Monday 21st January 2019. Open to anyone aged 14 and over who is interested in officiating 11 a side or 9 v 9 football, The Referees Course provides participants with an insight to the laws of the game and their practical application on the field of play. It also looks at the skills required to be a referee. 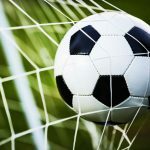 Those successfully completing the course will achieve Registered Referee Status (either level 8 Youth Referee or Level 7 Junior County Referee). The course runs from the centre on four evenings between January and April 2019 (see below link) and there is an additional requirement during Unit 5 to put what they have learnt in their lessons into a match environment. A final assessment will take place during Unit 6.